Solar Impulse 2, a Swiss engineered solar powered aircraft took off from Abu Dhabi, UAE on March 19 for a round-the-world solar flight. With the message for sustainable use of resources and proving the fact that it is possible to go beyond what is currently thought to be possible, the pioneer of Solar Impulse, Bertrand Piccard and André Borschberg aim to become the first humans to fly around the world in a solar-powered aircraft. The first round-the-world flight is scheduled to stop in Oman, India, Myanmar, and China before crossing the Pacific Ocean to United States and from there it will head towards Southern Europe or North Africa crossing the Atlantic Ocean and finally reaching its point of departure. Currently, the Solar Impulse 2 is on the Indian-leg of the round-the-world tour where it has made a pit stop at Ahmedabad and over 13 hours later it landed at Varanasi. 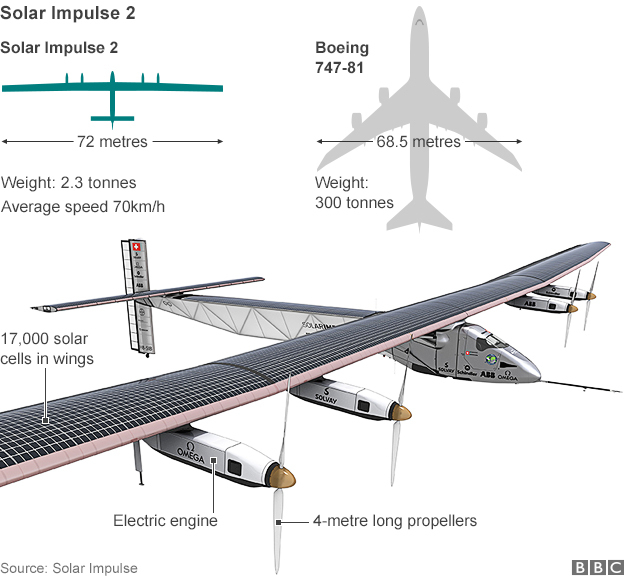 The 72-metres wide Solar Impulse 2 is expected to fly over Bangladesh sometime around Thursday (19/03/2015) evening heading towards Myanmar if everything goes according to plan, stated by the Swiss embassy. It is estimated that it will take another 5 months before it covers the 35,000km journey to reach the UAE, the starting and finishing point. 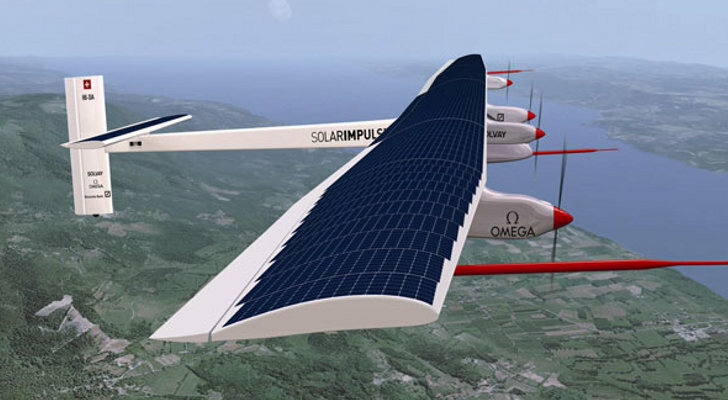 Previously, the Solar Impulse (1) have successfully made an intercontinental voyage of more than 6,000km from Switzerland to Morocco and back in the year 2012. The intercontinental flight was also piloted by Bertrand Piccard and André Borschberg. According to the pioneers, this incredible initiative shows the strength of Swiss’s education, research and innovation.